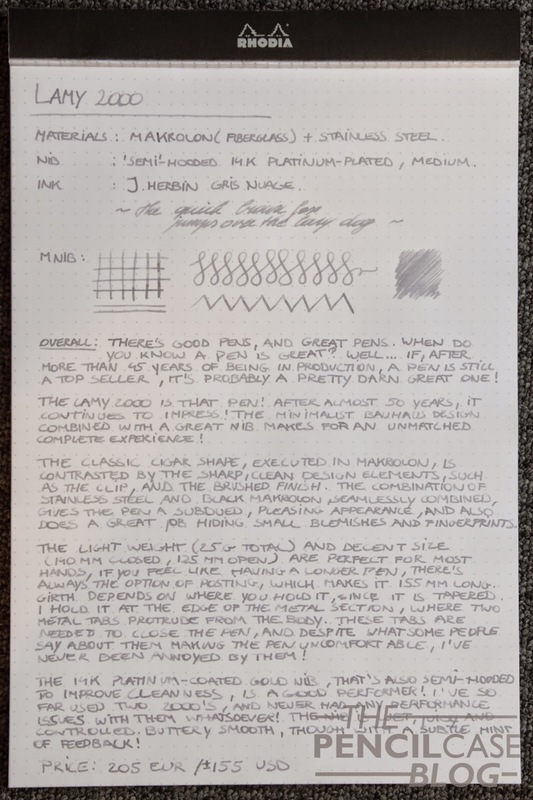 The Lamy 2000 is a pen that speaks for itself, that's why I'll let the numerous pictures do the talking, with an occasional interruption of uncontrolled blabbing about how awesome it really is! 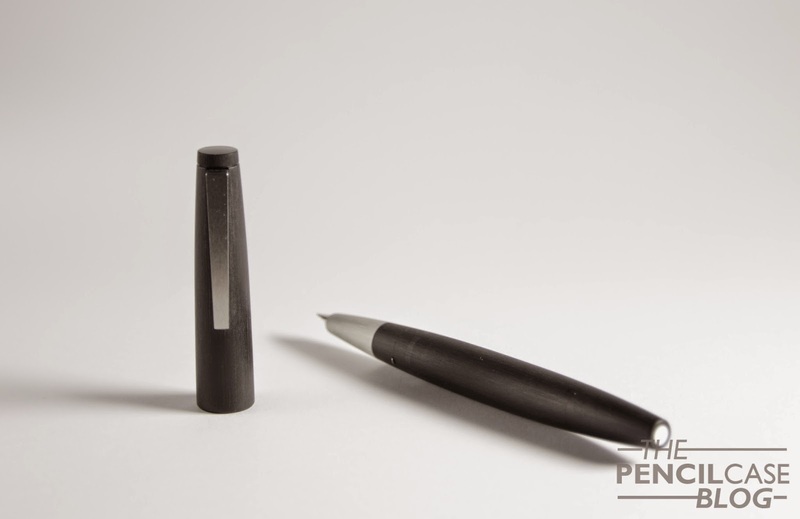 In the introduction, I'm obiously referring to the Lamy 2000, a true design classic by Gerd A. Müller. 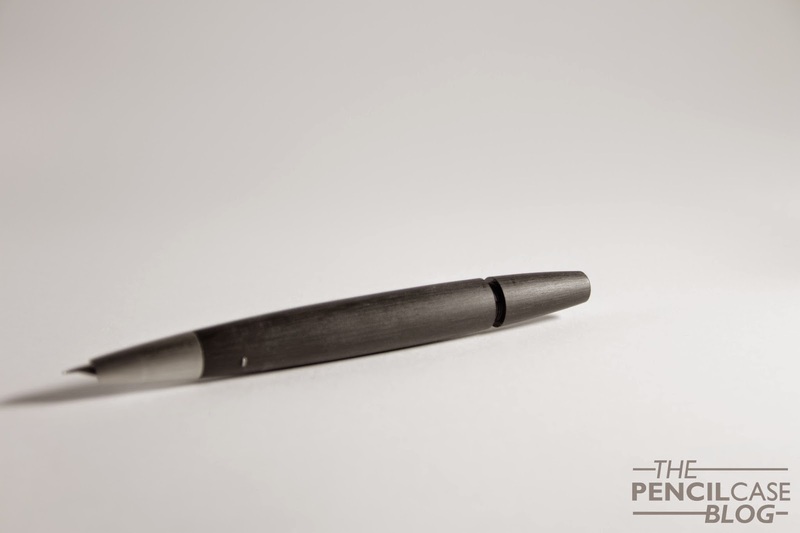 Now when I say 'classic', I'm sure most people would think of a pen like the Montblanc 149, or a Pelikan Souverän, with a very classic design. The 2000, on the other hand, is not a 'classic'-looking pen at all! Au Contrairy, It looks like it came straight from the future! The minimalist Bauhaus desin, the signature of most Lamy pens, is simple, yet timeless (the least one can say about a pen this age). I love the way they combined a classic cigar shape with modern materials and design elements. At first sight, the Lamy 2000 looks very simple, though when you look closer, you'll see there's actually a lot more detail than you'd think. 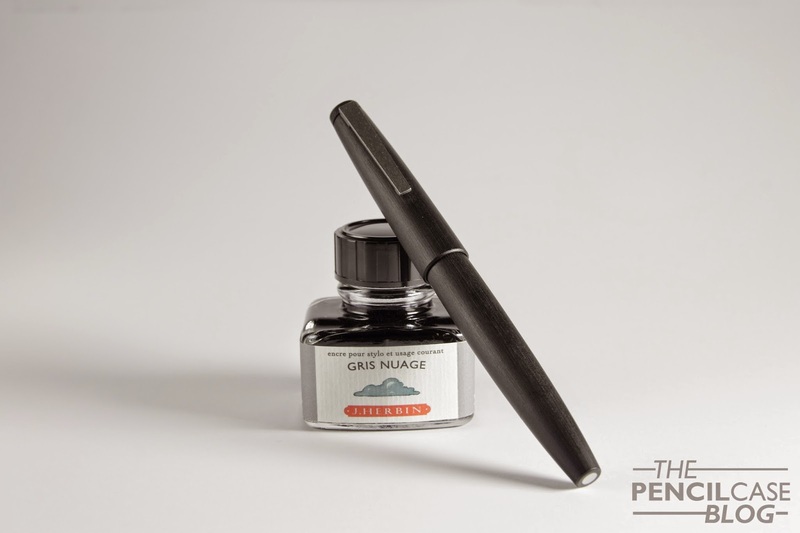 The material most parts of the pen are made from, is called Macrolon, some sort of Fiberglass composite that is both durable and incredibly light. 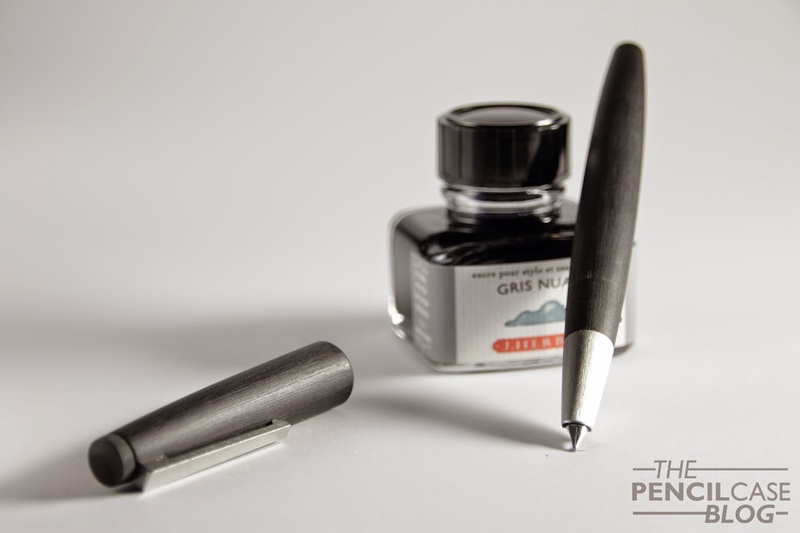 All other parts (except for the nib) are made out of stainless steel. Pretty much every part of the 2000 has a matte brushed finish, which gives it a sleek, no-nonsense appearance, and at the same time makes it resistant to fingerprints and small scratches. For it's size ( 140mm closed, 125mm open) it's a pretty light pen, at only 25g capped. Due to the decent size, bulbuous shape and low weight, it's a very comfortable pen to hold, well-balanced too. There's no real grip section, so depending on wether you like a 'slim' or 'fat' grip section, you can hold it a bit higher up or more towards the nib. 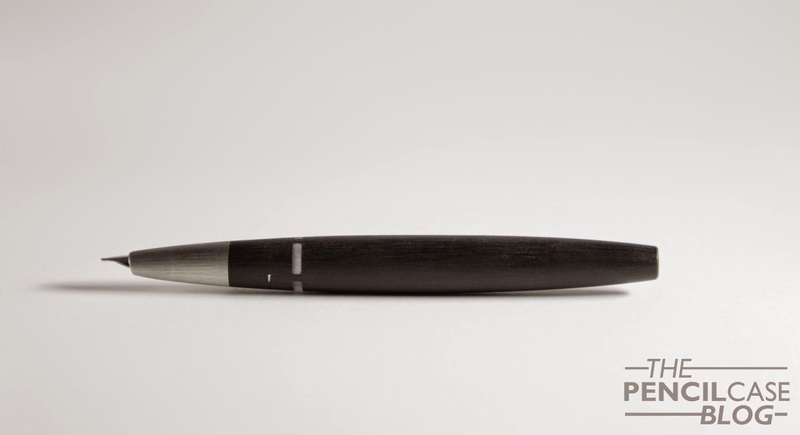 Due to the sleek design, and the fact that it has a snap cap, they had to figure out a way to make the cap hold on to the barrel of the pen. That's why you'll see two small metal nubs protruding from the barrel. 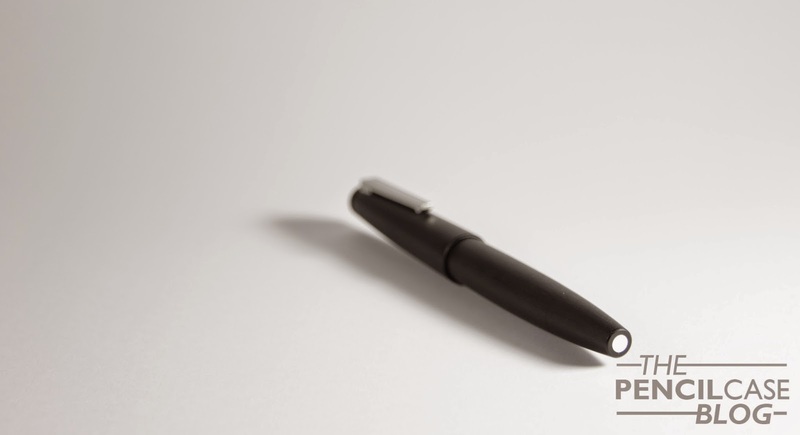 Some people find these nubs to interfere with their grip, making the pen uncomfortable to write with. I personally had no problem with them whatsoever, though I can understand it to be annoying if you tend to hold your pen right where these nubs are located. The 2000 has a piston filler mechanism, a very good one actually! 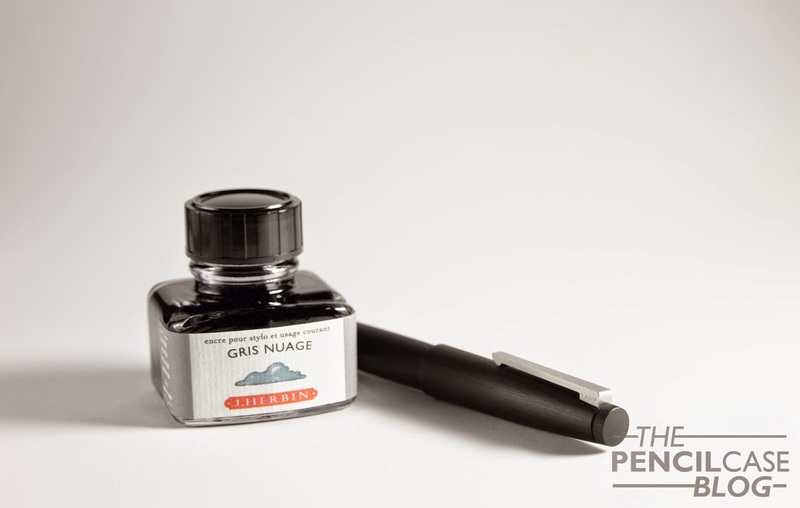 The piston operates smoothly, and holds quite a lot of ink. The coolest thing about it, is that the seam where the blind cap and barrel meet, is almost invisible, which –again- contributes to the minimalist design. There's also an ink view window in the barrel, so you can easily see when it's time to fill'er up again! Of course a pretty pen needs a pretty nib, and again Lamy succeeds at impressing with its simplicity. 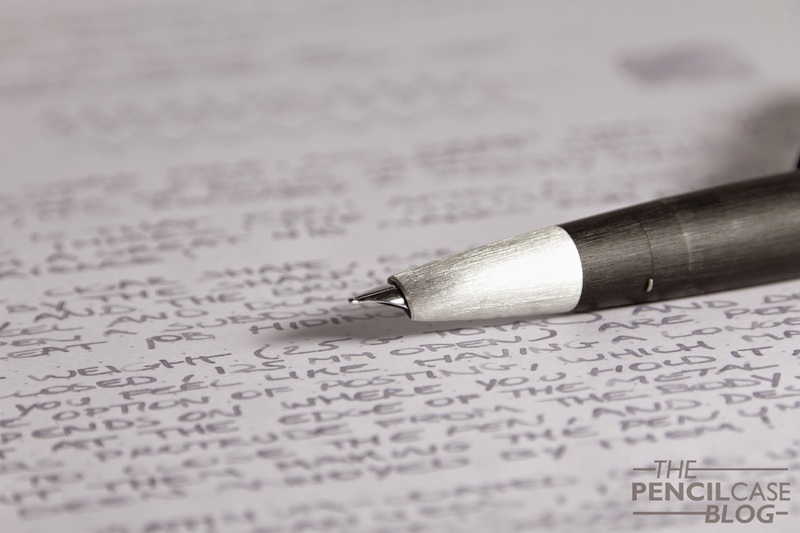 Because the 14k platinum-plated nib is semi-hooded, it blends in perfectly with the rest of the pen. The Medium nib performs on par with the regular gold nibs Lamy makes, which means it's a wet writer, smooth though with a hint of feedback. There can be an occasional skip or hard start, luckily those problems completely dissapear over time, as it seems to need some 'breaking in' before unleashing its full potential. Despite the nib being semi hooded, I find it to have a slight bit of spring to it, which makes the writing experience even better. 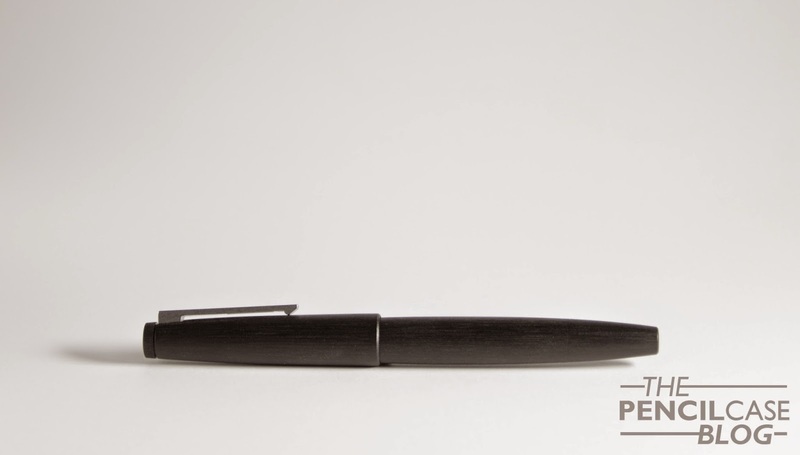 The Lamy 2000 truly is a modern design classic! Even after 45 years, it still continues to satisfy. 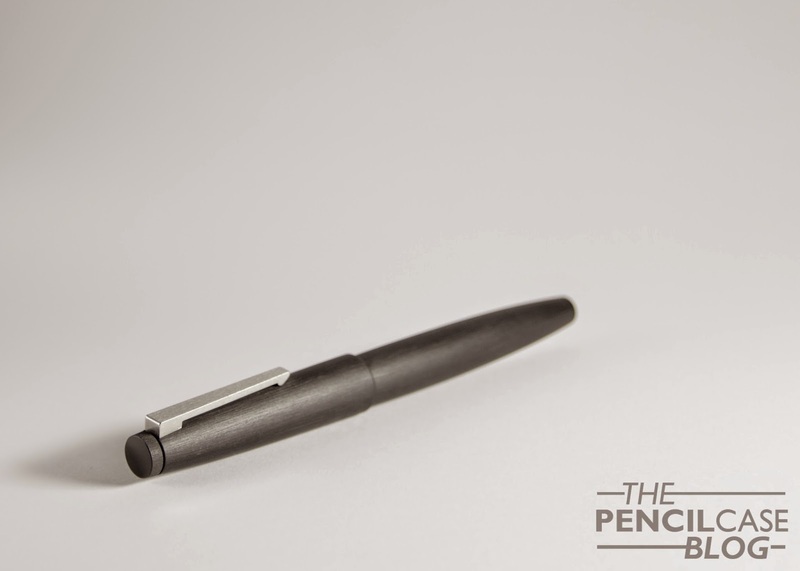 The simple, high-quality design, and great performance make this a perfect pen for a lot of people, while remaining relatively affordable: 155 USD / 205 EUR will get you a piece of this design history! It's really a great pen. What a shame that the price nearly doubled over the last years. 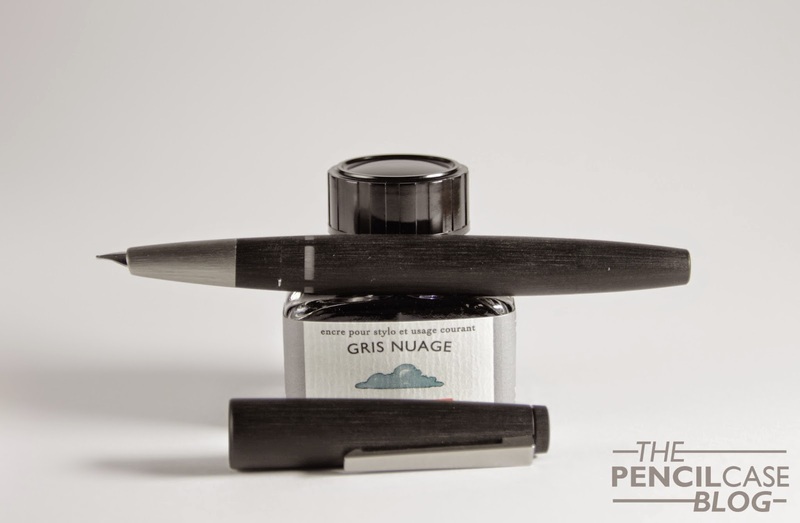 It has indeed become quite expensive over the last years, but for 200 Euros, it's still one of the best pens you can buy around here! I have finally gotten the 2000 just a few months back. It quickly became my favorite as it is one of the best I've ever used. The gray ink is a perfect match for the pen. Nice review and great photos.